The Tektronix TDS3012B and TDS3012C are 2-channel digital oscilloscopes, combining excellent performance with the high precision Tektronix is renowned for. Both units offer a 100 MHz bandwidth and are designed to deliver a 1.25 GS/s sample rate, while offering impressive features including DRT sampling technology, OpenChoice documentation, DPO power, and WaveAlert waveform anomaly detection. These oscilloscopes both come in a lightweight design, making them an excellent portable testing solution. The TDS3012C offers a TekProbe Interface, multiple-language user interface, FFT standard, and WaveAlert waveform anomaly detection, making it ideal for a wide range of applications. The Tektronix TDS3012B digital phosphor oscilloscope is designed to offer a 3,600 wfms/s waveform capture rate. It is capable of capturing infrequent events and glitches at an enhanced speed. This DPO is designed to offer up to three times the capture rate offered by comparable oscilloscopes. It is also designed to allow technicians to debug and characterize signals quickly and accurately and the DRT sampling technology allows for easy capture of high-frequency information The embedded smart technology is capable of capturing edge anomalies and glitches in signals, and its sin(x)/x interpolation feature allows precise reconstruction of waveforms. 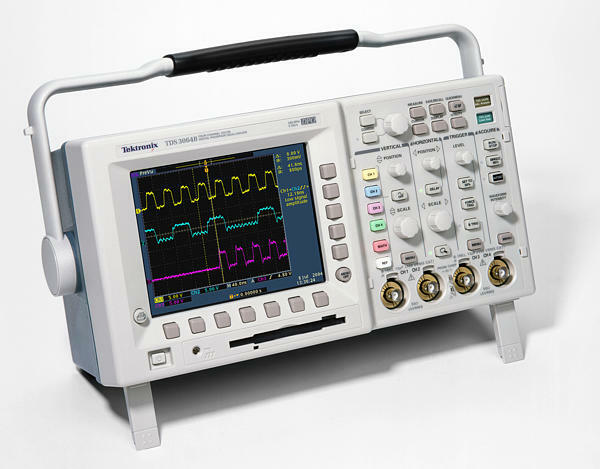 The Tektronix TDS3012B is also a fine choice for carrying out a wide range of troubleshooting tasks. By utilizing its WaveAlert detection, users can quickly and accurately identify elusive problems in signals. WaveAlert detection highlights all waveforms that show deviations in characteristics from the normal one. This feature is designed to automatically sound a beep, save a waveform, print a hardcopy, and stop acquisition. Learn more about Openchoice desktop application here. Just like the TDS3012B, the Tektronix TDS3012C is designed to offer a 3,600 wfms/s waveform capture rate. Its TekProbe interface is designed to support current, active, and differential probes. Storage and transfer of measurements from the oscilloscope are made easier by its front-panel USB port. Additionly, this digital oscilloscope features a wide selection of application modules that find numerous uses in specialized analysis. Such applications include the following: Limit Testing Module, Extended Video Module, Advanced Analysis Module, and Telecommunications Testing Module. 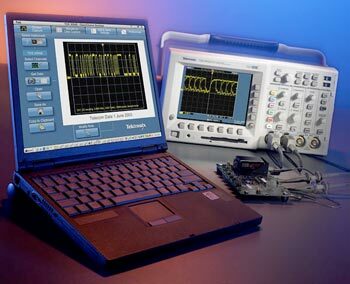 The oscilloscope also finds many applications in power supply design, manufacturing test, education and training, digital design, digital debugging, telecommunications mask testing, video installation, and general bench testing. There are a wide variety of flexible features that allow the technician to transform their DPO oscilloscopes into specialized testing tools that are suitable for video troubleshooting, telecommunications mask testing, and limit testing. The advanced analysis module of the TDS3012B features extended math capability, measurement statistics, arbitrary math expressions, and various automated measurements. Its limit testing module allows users to determine the operation parameters of a circuit and verify that they are the intended values. The telecommunications mask testing module helps users to test compliance with the ITU standards. Users can add a video quick menu, line count trigger, holdoff, and autoset to their DPO oscilloscope by incorporating an extended video editing module to their equipment. Contact us for more information or quote on these or other quality Tektronix products. This entry was posted in Site News and tagged Tektronix TDS3012B. Bookmark the permalink.